Power tactics that are used in hypnosis have been used for many, many years; they are strategies that are key in the influence and persuasion of those around you. These tactics will help you to change the lives of those around you for the better, as well as your own. As you learn how to use power tactics you will want to keep in mind the different concepts of hypnotic language foundations, rapport skills and signal recognition skills. Keep these in the back of your mind because as you learn power tactics you will want to start to combine them all to create a powerful way of being a hypnotist. It is important to realize that at some point you will want to converge all the information you are learning in to smooth flowing patterns that will enhance your overall ability to be a great hypnotist. Power tactics, which are very old and very useful, in hypnosis are the strategies that allow you to become the authority in a person’s trance. They enable you to take on the role of high status, which is our first tactic. The power tactic of ‘High Status’ is a role you will take on with your subject in order to get them to follow your suggestions. It is important to note here that high status has nothing to do with your person; it is not about wealth or moral judgment. It is simply a place in the set of roles you take on in society everyday. High status, equal status and low status are all different roles we play within the relationships we have. Some people are natural high status people; they are comfortable and are good at taking control of the conversation. Others are low status people and are more of a passenger in conversations, they chime in when necessary but other than that mostly agree with what is being said by others. The different roles we choose varies depending on the people we are with and the situations we are in. It is important for you as a hypnotist to understand these roles and know when you need to play that of high or low status. The best part of choosing a role to play after you understand them is that it gives you the most flexibility in conversations you have and the people you are working with. Now of course as a hypnotist you will want to be in a role of high status, this will make you the authority figure. As the authority figure people will want to do what you suggest and follow your advice. The problem with this is that some people are not flexible in the types of people they feel comfortable dealing with. There are people who are comfortable being low status and others who are only comfortable in high status. You will need to determine what type of person you are dealing with to determine which role you will need to initially take on. I say initially because you will want to eventually be of high status in your hypnotic relationships. However there will be time you need to start as a low status person. If you are dealing with a person who distrusts or dislikes those of high status you will take on a low status role until the person trusts and likes you. They need to feel comfortable with you. When you take on the role of low status you will be less assertive, feed them information subconsciously and set up the correct frames to gain their trust. When you take on the role of a high status you will need to include two distinct concepts in your authority role. These are your body language and behavior, which include your tonality. These are the two things that will signal others as to what status you are in, they will cause a difference in how you are perceived by the other people around you. When you give off signals of a high status people will respond to you more powerfully. This is a good sign but it is also important to remember the situations where you need to play low status and change your signals to accommodate that need. This is something you will have to do for as long as it takes until those around you are comfortable dealing with a high status person. It is also possible to need to change status when dealing with the same person depending on the situation you are in. This is a powerful tactic in order to break down resistance. Now how do you become a high status person? What mannerisms does a high status person give off? You have encountered them countless times, and more than likely interact with high status people all the time. People who are in high status role are those who send out signals of relaxed manner. They are very comfortable with themselves and are confident in the things they do and say. Some distinguishing characteristics of high status people are easy to spot. High status individuals exhibit Calm Movements. These people are calm and unhurried; they do not rush through their actions, words or thoughts. And those around them respond to these people as if they are in control of the situations they are in. If you goal is to be a high status role in your hypnotic relationships then you need to take on these behaviors. It is important to avoid being jumpy, jerky or nervous. Many low status people will have repetitive movements or ticks, they will wring their hands or bounce a leg constantly, and these are behaviors to avoid. Another high status signal is the way you use the space around you. High status people use their space widely. Low status individuals take up as little space as possible by crossing their arms and legs and often sitting in corners. High status people will use large motions, stand in a room, sit in a room, and even lean back in chairs. High status people are also not intimidated by occasionally invading others private space. They will give you a pat on the back or unsuspected hug, they simply feel comfortable naturally. The third signal of a high status person is that they will expose the vulnerable parts of their body. As humans we have vulnerable part we are constantly subconsciously aware of; these being the throat, abdomen and groin. When we feel threatened we will unknowingly protect these areas. We may cross our arms or legs, even if the attack is only a verbal one we will attempt to protect ourselves. Those in high status will leave these areas of the body open or exposed. They feel confident enough in their defenses to not be worried. Often they are so comfortable in their environments that they simply feel no danger of an attack. The fourth and final signal of a high status person is steady eye contact. One of the most interesting things about human beings is that you can often tell exactly what emotion they are having by looking at their eyes. The eyes are directly connected to the brain and therefore give away many clues to your thinking. Low status individuals will have nervous eyes, darting around, unable to focus on one thing for too long. High status people will be able to fix their eyes on something; a person, place, thing or point in space without a problem. They will have an unwavering steady gaze that is the signature of their calm state of mind. In order to take on a high status role you must study and embody these traits. In doing this people who are not intimidated by others of high status will feel more comfortable around you. You will find they are even more willing to open themselves up to you in many different situations. I just wanted to chime in and say I’m glad to see you are still posting to this blog. I didn’t see any updates in a while and have always enjoyed your take on coversational and covert Hypnosis. Please keep up the good work on the blog and look forward to more great articles. 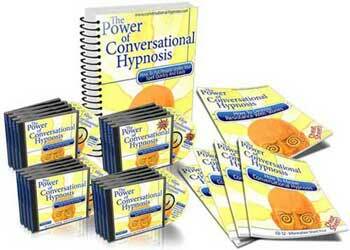 The Blog is very useful giving guide lines to us about uses of hypnosis. Keep posting it. On reading through it I made my self get relaxed by listing to Andrew Johnson ‘s hypnosis site.